A fill flash on the subject would have balanced the lighting. As is it's hard to see the person. Great idea. Wish there was a little more light on his face so could better see the anticipation (spell?). A bit of fill-in flash and I'd have given this the only 10 of the challenge. While this is a very creative idea for this challenge, your main subject is just too dark. We can't really get a feeling for the child's emotion here because of the underexposure. Here is a tutorial that may help. 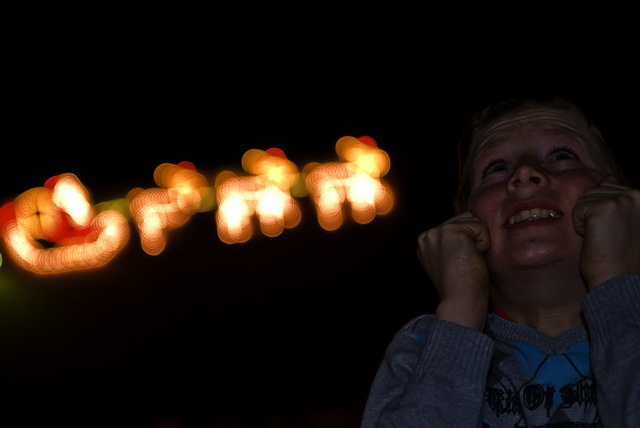 I like the Bokeh but i think you missed a lot on the light, because the boy on the front is really dark. Proudly hosted by Sargasso Networks. Current Server Time: 04/21/2019 12:38:53 PM EDT.